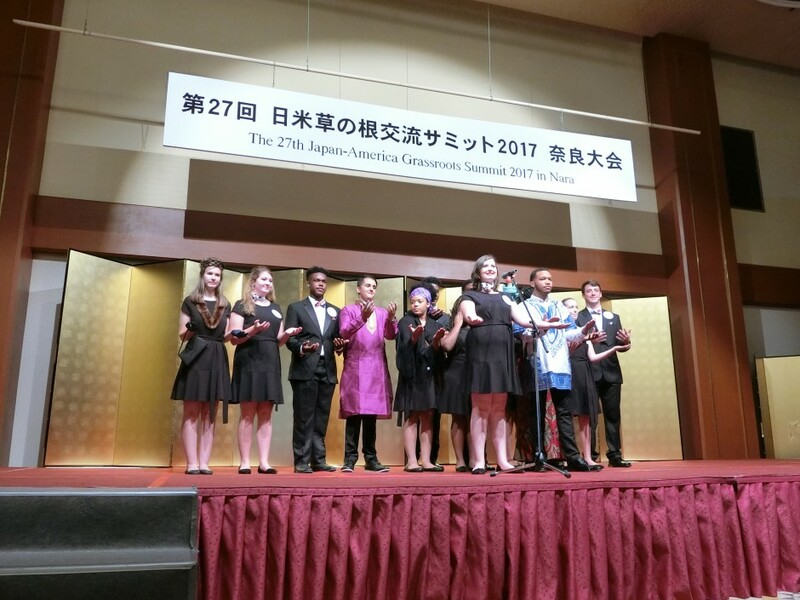 From June 27 to July 8, 2017, 15 students (1 middle school student; 13 high school students; and 1 college student) from the Youth Commission of Macon-Bibb County (MBC), Georgia, participated in the 27th Japan America Grassroots Summit 2017 in Nara as part of the TOMODACHI CIE Grassroots Summit. The students participated in cultural activities in Nara and visited Kurobe, Toyama prefecture, to celebrate the 40th anniversary of MBC’s sister city relationship with Kurobe. At the Opening Reception on June 28, the students delivered presentations about civil and human rights as representatives from Georgia, where Martin Luther King Jr. was born. 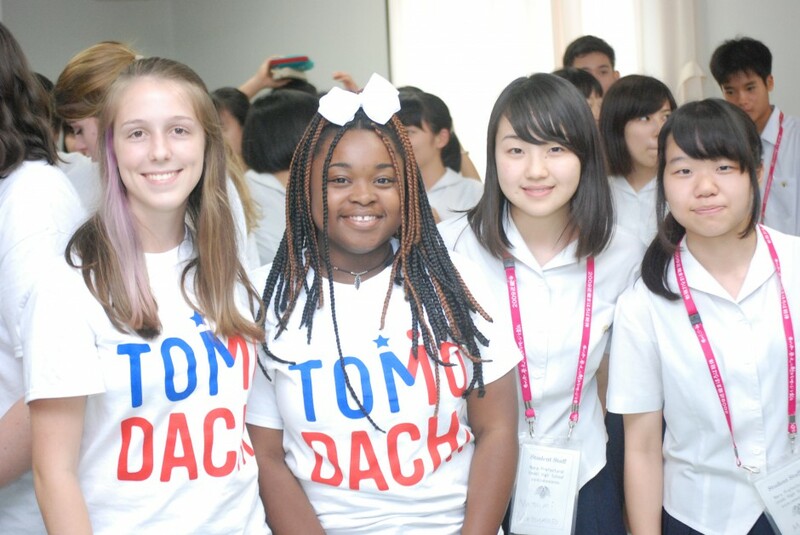 Approximately 250 American and Japanese attendees, including Chargé d’Affaires Jason Hyland, listened to the presentations and gave the students a big round of applause. 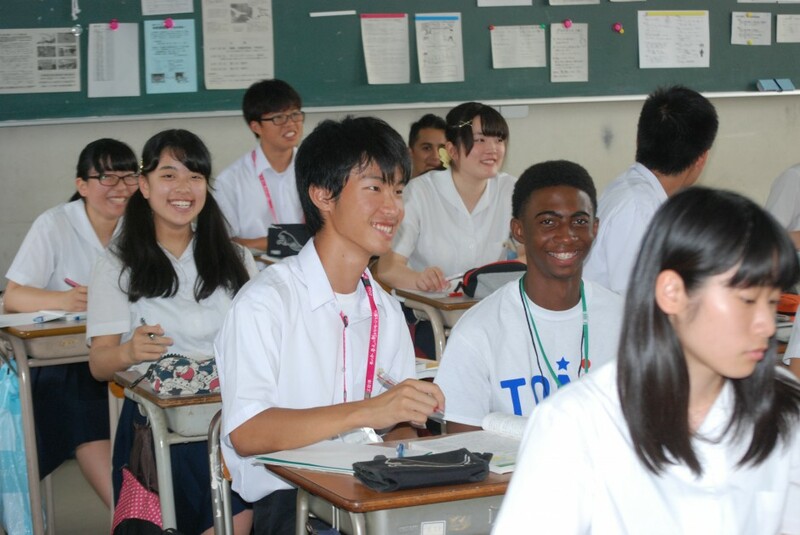 On June 29, the students began a series of cultural exchanges by first attending classes with the local students at Unebi High School in Kashihara, Nara. The students also experienced a 3-day homestay with the local students’ families. Through their homestay experiences, the students learned about the Japanese culture, way of living, values, and hospitality. After the one-week Summit in Nara prefecture and a day trip to Kanazawa, the MBC students visited Kurobe, Toyama prefecture, to attend a ceremony celebrating the 40-year sister city relationship between Kurobe and Macon-Bibb County. At the reception, Mr. Yasuo Horiuchi, Mayor of Kurobe, and other distinguished local people of the city warmly welcomed the students. During their stay in Kurobe, the students also visited one of the local high schools, Sakurai High School, where they enjoyed cultural exchanges. During the trip, the students not only learned about Japan and its culture, but also developed lifelong friendships through the homestays. They also gained confidence through the presentations they delivered four times during the trip, and took their first steps as leaders of the next generation.